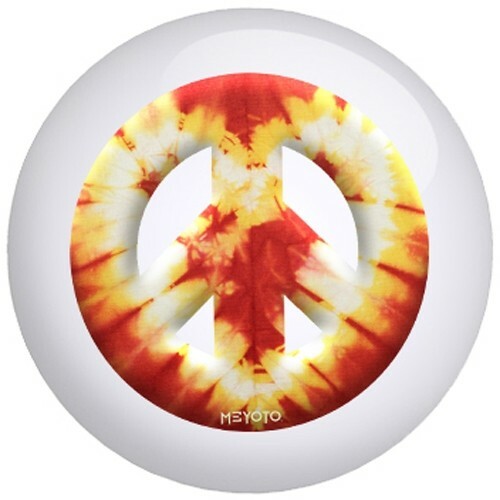 This Meyoto World Peace Series ball features a cool Red Heart Tie Dye color on the peace sign! Let everyone know your stand for world peace by bowling with this ball on the lanes! Due to the time it takes to produce the OnTheBallBowling Meyoto Red Heart Tie Dye ball it will ship in 1-2 weeks. We cannot ship this ball outside the United States.